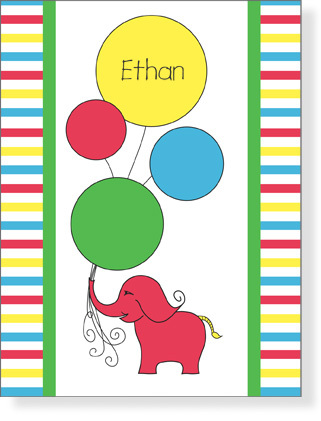 Cute red elephant holds a bouquet of balloons, perfect for personalizing your child's name in the top yellow one. 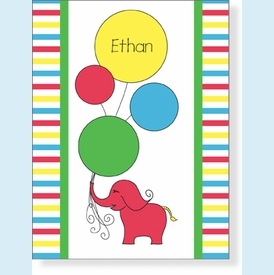 Great for birthday party thank you notes. NOTE: Only 7 boxes left!